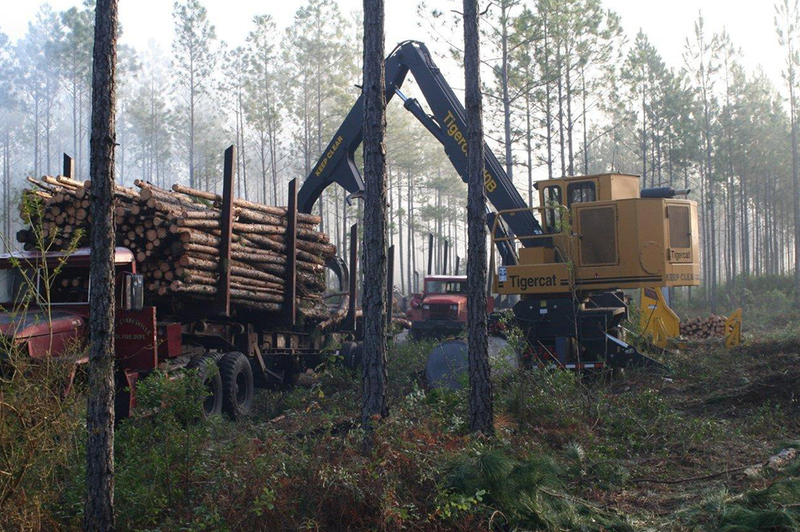 Shadowlawn Farms, Reinhold Corporation’s timber division, manages nearly 16,000 acres of timber, incorporating best practices forestry management. Shadowlawn Farms is certified under The American Tree Farm System, which recognizes and validates family forest owners for their work and commitment to sustainable stewardship of their land. Shadowlawn Farms follows a rotational planting schedule using three varieties of pine tree – Slash, Long Leaf and Sand depending on soil type. The majority of the property is planted slash Pine, however, Shadowlawn Farms continues to experiment with the other types of trees in an effort to promote diversity and improve harvest yields. In a typical year Shadowlawn Farms plants over 400,000 seedlings. The harvested timber supplies regional building products and pulp facilities which produce everything from paper and ply-wood to 2 x 4’s and power poles. Fire Safety - One of the principal responsibilities of owning a large tract of land is to maintain a vigilant wildfire safety program. Reinhold maintains hundreds of miles of firelines and trail roads, which act as a break in the event of a fire. In addition, Reinhold has equipment specifically dedicated to fire fighting in the event of a wildfire. Reinhold maintains a close working relationship with Florida Forest Service. Shadowlawn Farms will periodically implement prescribed burns to remove heavy fuels (gallberry, palmetto, and old pine needles). Following a controlled burn lighter fuels (grasses and forbs) will regenerate. © 2019 Shadowlawn Farms. All Rights Reserved.